Purrblog: people ignored cat because she had a deformed face, but after they removed it, her transformation is amazing. people ignored cat because she had a deformed face, but after they removed it, her transformation is amazing. Say hello to Keta. The rescue cat who was rescued from a ‘kill shelter’ where she would have died in moments if it hadn’t been for someone saving her before it was too late. Unwanted and deformed cats are usually euthanized. This cat missed euthanization because kind people at Unwanted NYC Pets decided she was worth the chance. They knew it would be hard to get her adopted with such a twisted smile, so first they set out to fix her smile! After the tumor was removed, her transformation was AMAZING… just watch the video! 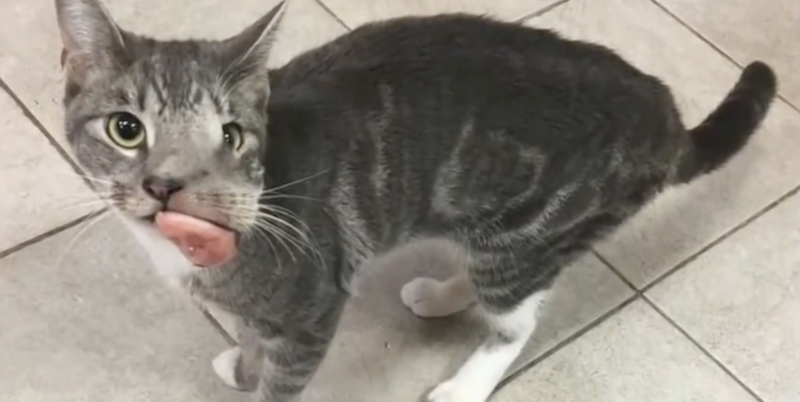 Read the full story here... people ignored cat because she had a deformed face, but after they removed it, her transformation is amazing.